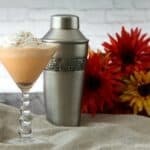 Pumpkin Spice Cake Martini, the BEST fall cocktail recipe! Easy pumpkin martini to make with vodka & pumpkin liqueur. Perfect for Thanksgiving or Halloween. 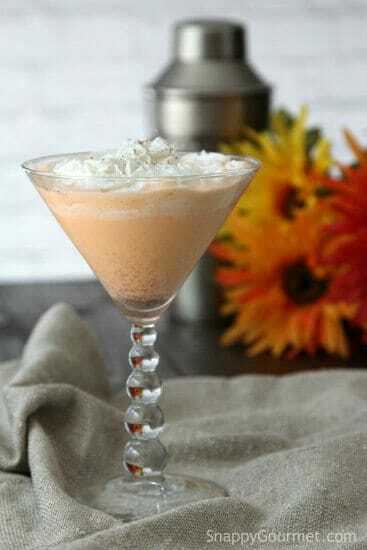 So it’s Monday, but perfect day for a Pumpkin Spice Cake Martini recipe, don’t you think? Fall officially starts this week, so what better way to kick of the season than with one of the BEST fall drinks, a pumpkin martini recipe! It’s an easy cocktail with pumpkin liqueur and cake vodka. 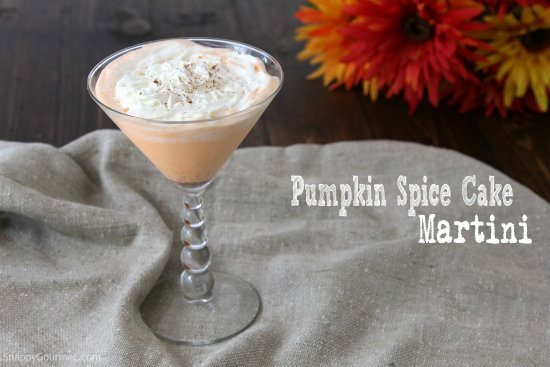 It’s a great drink for Halloween, Thanksgiving, or anytime this season! 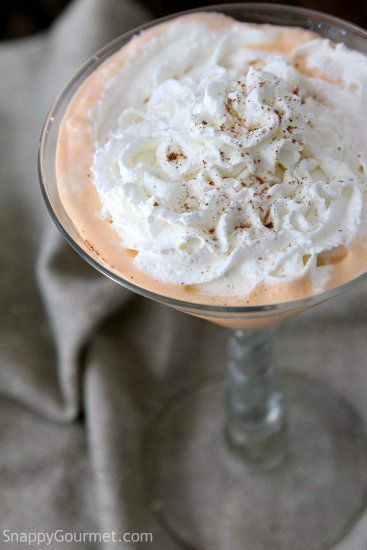 This simple Pumpkin Spice Cake Martini only takes a minute to make and has very few ingredients. I used Pinnacle Cake flavored Vodka and Hiram Walker Pumpkin Spice Liqueur, along with a little cream (or you could use milk or your favorite milk substitute like almond milk, coconut milk, etc. ), and a little pumpkin (pie) spice. The pumpkin (pie) spice may settle to the bottom of the glass but that’s ok! Top with a little whipped cream and a dash of the pumpkin (pie) spice. There you have it! A fun simple fall cocktail full of fall flavors! 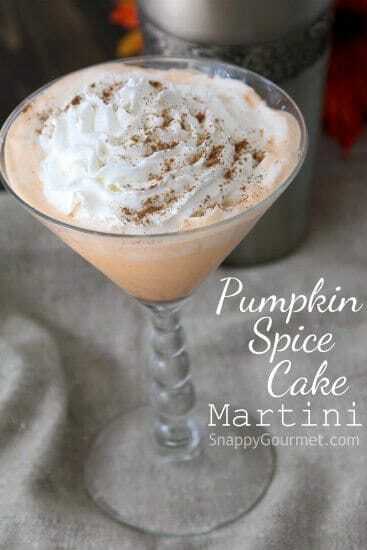 Hope you enjoy my Pumpkin Spice Cake Martini! My husband stole mine this weekend so I think it’s time for another one soon! 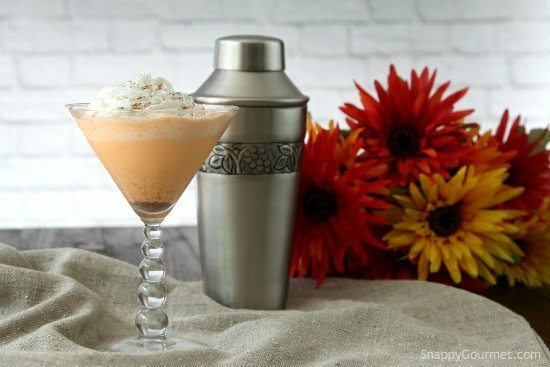 Pumpkin Spice Cake Martini, an easy fall cocktail perfect for Halloween or Thanksgiving! Fill shaker with ice. Pour cream, pumpkin liqueur, vodka, and dash of spice into shaker. Shake, then strain into glass. Top with whipped cream and dash of spice if desired. SNAPPY TIPS: Skip the shaker, and make a big batch for a party in a pitcher. SNAPPY SUBSTITUTIONS: Instead of cream you could substitute milk or your favorite substitute such as almond milk or coconut milk. Taste of drink will vary depending on substitutions. I love this time of year – pumpkin spice everywhere! Must try this.